← What Happens When God Loses? Image: A Mesopotamia text (3000 B.C.) 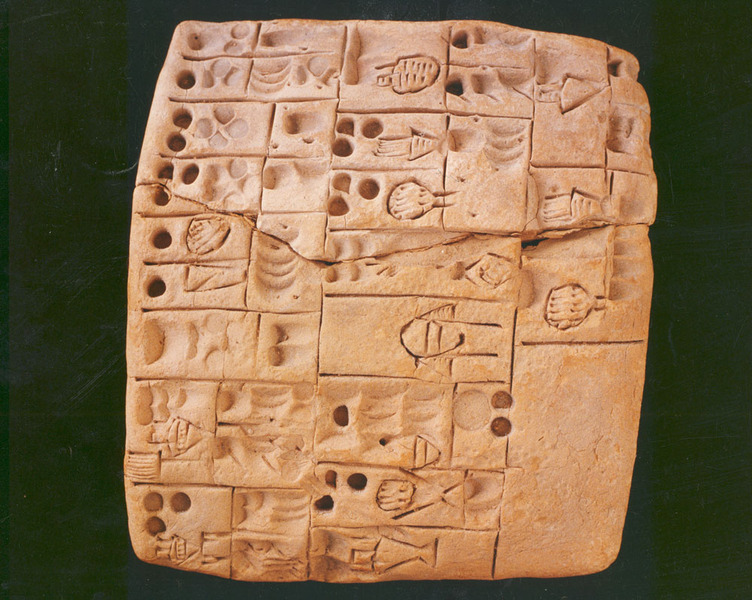 with proto-cuneiform writing, containing calculations of basic ingredients required for the production of different types of beer. Archaeological finds from cuneiform tablets and remnants of different vessels from over 4,000 years ago show that even around the dawn of civilisation, fermented cereal juice was highly enjoyed by Mesopotamia’s inhabitants. However, besides the two basic ingredients, barley and emmer (a species of wheat) the brew produced in the clay jars of the Sumerians is shrouded in mystery. Despite an abundance of finds and scribal traditions which point to an early love of fermented cereal beverages, reconstructing ancient brewing methods is very difficult, according to the historian of science and cuneiform writing scholar Peter Damerow of the Max Planck Institute for the History of Science in Berlin. Although many of the more than 4,000 years old cuneiform texts contain records of deliveries of emmer, barley and malt to breweries, as well as documentation of the activities, there is hardly any information on the details of the production processes, and no recipes to follow. According to Damerow, the administrative texts were most likely written for an audience that was already familiar with the details of brewing. They were not intended for informing the modern-day reader about the processes. Moreover, the methods used for recording this information differ between locations and time periods. Also, the records and calculations are not based on any consistent number system. Instead, the Sumerian bureaucrats used different number systems depending on the nature of the objects to be counted or measured to count or measure. This has cast doubt on the popular theory that Mesopotamian brewers used to crumble flat bread made from barley or emmer into their mash. The so-called “bappir” (Sumerian for “beer bread”) is never counted as bread in the administrative texts, but in measuring units, like coarsely ground barley. Damerow also points out that the high degree of standardisation, which meant that the quantities of raw materials allocated to the brewers by the central administration remained exactly the same over long periods, sometimes even decades, makes it difficult to base any recipes on them. According to Damerow, even the “Hymn of Ninkasi”, one of the most significant sources on the ancient art of brewing, does not provide any reliable information about the constituents and steps of the brewing process. This lyric text from the Old Babylonian period around 1800 B.C. is a mythological poem or song that glorifies the brewing of beer. Despite the elaborate versification, Damerow states that the procedure of brewing is not conclusively described. It merely offers an incomplete record of the individual steps. For instance, there is no clue as to how the germination of the grain was interrupted at the right time. It can only be speculated that the barley was layered and that the germination was stopped by heating and drying the grain as soon as the root embryo had the right size. For those who are interested in reading more about the Sumerian beer-brewing processes, Damerow’s article is available in PDF format at the Cuneiform Digital Library Journal: Peter Damerow, “Sumerian Beer: The Origins of Brewing Technology in Ancient Mesopotamia.” Cuneiform Digital Library Journal 2012:2 ISSN 1540-8779 Version: 22 November 2011. This entry was posted in Archaeology, Beer, Sumerians and tagged Archaeology, Brewing Technology, Max Planck Institute, Peter Damerow, Sumerian Beer. Bookmark the permalink.